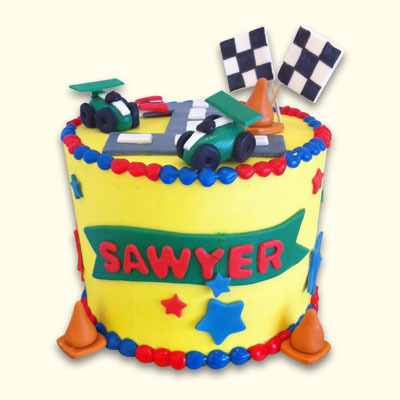 Have the cake be a winner at your occasion! 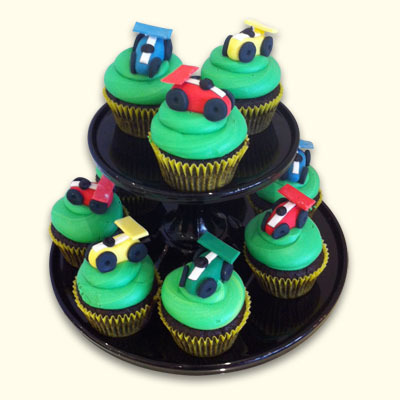 This cake is available as a sheet cake or cupcake cup with serving size of 35 guests. 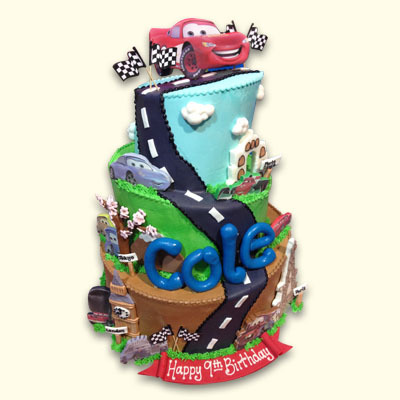 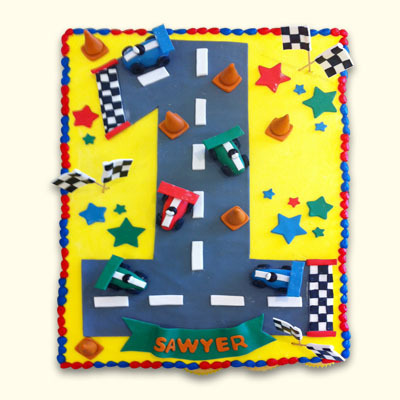 Customize with any cake flavor, fondant name banner, custom track, and finish line and design to make your occasion even more wonderful!